While your Instagram is full of photos of your cat and that fancy lunch you had a week ago, Jack Morris and Lauren Bullen’s feeds might spark a little more envy. 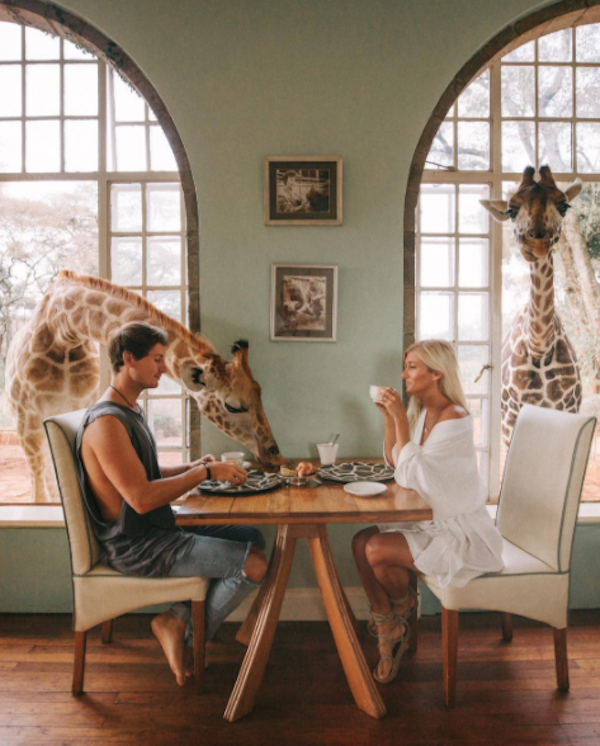 Being the living proof of “#lifegoals,” the young lovers enjoy breakfasts with nosey giraffes and makeout sessions in the desert — all while getting paid. Companies shell out up to $9,000 per Instagram post to reach the couple’s massive amounts of followers. So Bullen and Morris’ drool-worthy vacations and romantic adventures are totally taken care of. 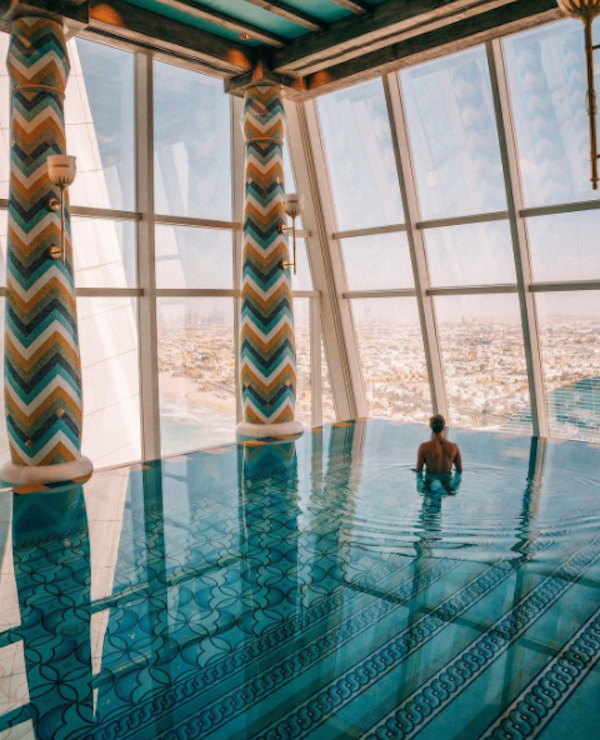 See for yourself what a perfect life really looks like in the photos that follow. Be warned: #6 will make you want to quit your day job. What better way to spend a day in the jungle than by finding an oasis with your own rope swing? This is proof that all those hours you put in at your playground growing up could actually come in handy as lucrative job skills. So forget everything you mom said and keep swinging. 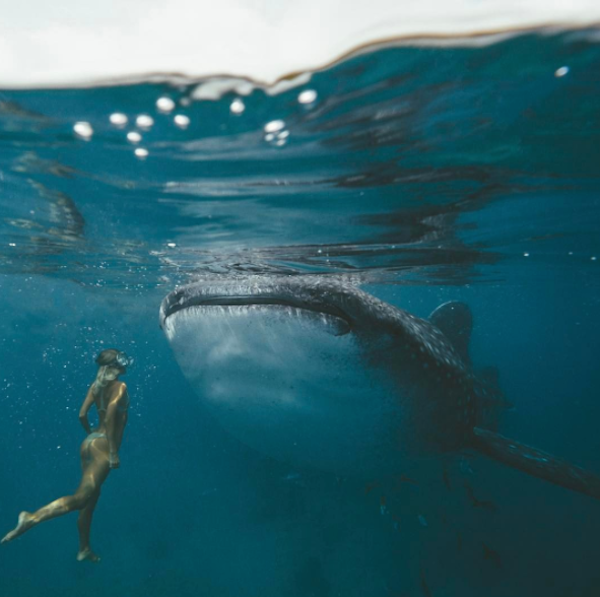 While their nonchalant attitude about their once-in-a-lifetime adventures can be a little annoying, you have to commend them on bravery. It would be hard to get that close to anything with a mouth that size. While this might not be number one on your bucket list, it’s gotta jump a few spots now. Can you imagine what it would be like to have an animal you’ve ever only interacted with through a fence at zoo be close enough to snag a slice of your bacon? One would assume that experience is pretty much life changing. This is nothing like your friend’s pool you chilled in every weekend in 10th-grade. These humongous bodies of water with breathtaking views are always empty because the couple says they only shoot one hour after sunrise. So I guess their life isn’t so perfect if they have to wake up at 5 a.m. 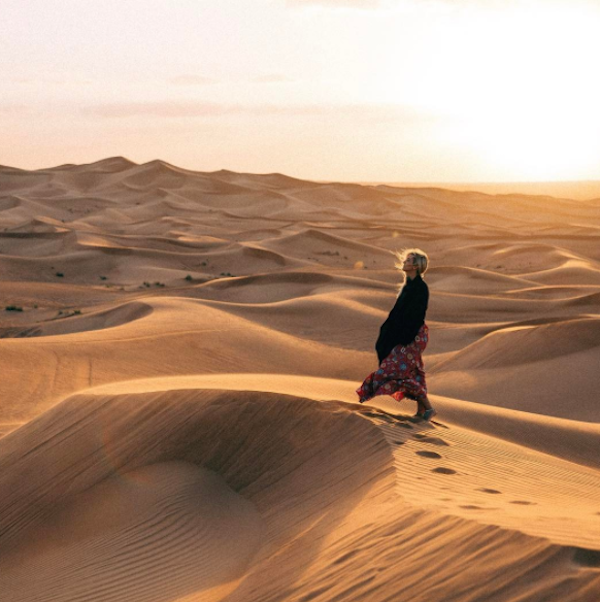 Thanks to the brands and tourism companies who sponsor them enough to fully supplement their worldly travels, Morris and Bullen can spend their time just walking aimlessly around the desert in trendy clothing. They do have a home to go back to, but it’s not really a break from the vacation lifestyle because it’s in Bali.